We're sitting out a few days from Thanksgiving in the U.S., and it's time once again to give thanks to people in our free software community. On a related note, a while back James Martin and I were having a conversation about what the collective noun for Ansible-using-people was. We came up with "Ansiblings" - somewhat because it reminds me of Starcraft zerglings, because we are numerous, aggressive, and get things done fast-- but that's not so much why. More so, because Ansible users are kind of a family. This year, our way of giving thanks to our family won't be with a tryptofan-soaked turkey (Wikipedia seems to say that's a myth but what do they know? 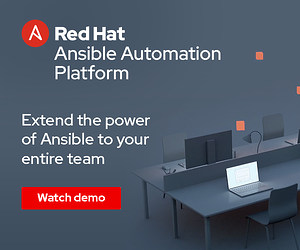 ), but rather with another great release of Ansible. YES -- Ansible 1.8 is now available on PyPi and our official Ubuntu PPA, and will soon be available via other packaging mirrors. And at this point, Ansible's reached an amazing 919 contributors on GitHub, with over 8400stars and 2600 forks, and you can find a large list of dedicated meetup groups all over too. One of the most notable features in Ansible 1.8 has been the long requested fact caching - which allows for users managing multiple datacenters - or running different playbooks - to share information between hosts not just in RAM while a playbook is running, but *between* invocations of Ansible. The system is fully pluggable, with the default suggested implementation being Redis, and a Memcache plugin also shipping. A lot of the 1.8 release has been about adding new options to modules and keeping modules up to date with exciting new service additions and changes - a large brunt of this work has focused around EC2 -- where there is a giant ton of Ansible users, as well as Docker, which has a rapidly changing API. (Also at a recent Amazon reInvent, Amazon also announced a pending service called ECS - a Container service - which we'll have modules shortly after it is available for vendor developments). Many other features like the new Ansible Galaxy Requirements File have also been popular throughout the 1.8 development process. A lot about running the world's most popular IT automation language is about support infrastructure and enablement. This release adds the ability for module directories to be subcategorized, so if you hop over to, for example, cloud in the documentation, you'll see things are nicely sorted by cloud type. We've also allowed for aliasing as well as deprecating modules. This release we also granted commit access to major players in the cloud space - including Matt Martz from Rackspace, Eric Johnson from Google, and Monty Taylor from HP OpenStack, and they'll be playing a large part with the Ansible modules in those areas. Part of that enablement has also been in splitting the project into three repositories, allowing for more efficient management of tickets and so on. There's a lot of nice stuff coming down the pipe, and a lot of that means continued enablement of helping contributors get features in, but also keeping the train on the tracks by building the right plumbing and guiding the project down the right roads. Yes, I'm one for mixing metaphors. Work on Ansible also continues to build a compatible 'v2' subtree, which is a refactoring effort that will enable the continued expansion of new language features. For a larger list of changes to Ansible 1.8, see the Changelog on GitHub. Ansible 1.8 was codenamed "Summer Nights" going along with our Van Halen discography codename policy. 1.9 will be "Dancing In The Streets" which will continue to bring countless new developments as Ansible picks up even more features, users, and contributors. It doesn't matter what you wear, just as long as you are there.